Leaping Out on Faith...is a collection of four short stories featuring women confronting tough decisions. Will they each choose the "right thing?" Or, will their emotions drive them to take the easy way out? What leaps of faith must they hurdle...or, run from? Find out in this quick satisfying read! Ms. Campbell is a talented writer who shows great promise in the literary field. All four stories were interesting. Each was different from the one before, yet there was a common theme. The stories were entertaining, but also caused you to think and perhaps draw your own conclusions. Other stories could have been based on Ms. Campbell's subjectivity and own experiences--which proves to be intriguing for the reader. Either way, her talent as a writer is without question, and I look forward to her continued evolution and development of her protagonists. She will be on the bestseller list one day. That I believe for sure. Her short stories are worth the read! Every story in this collection captivated my mind as the women dealt with things like first love and abuse. Some of the stories I could relate to and some left me thankful that I have never walked down that road before. Also, I enjoyed that each story was short enough that I could devour one over lunch each day until I reached the last word. Great read! 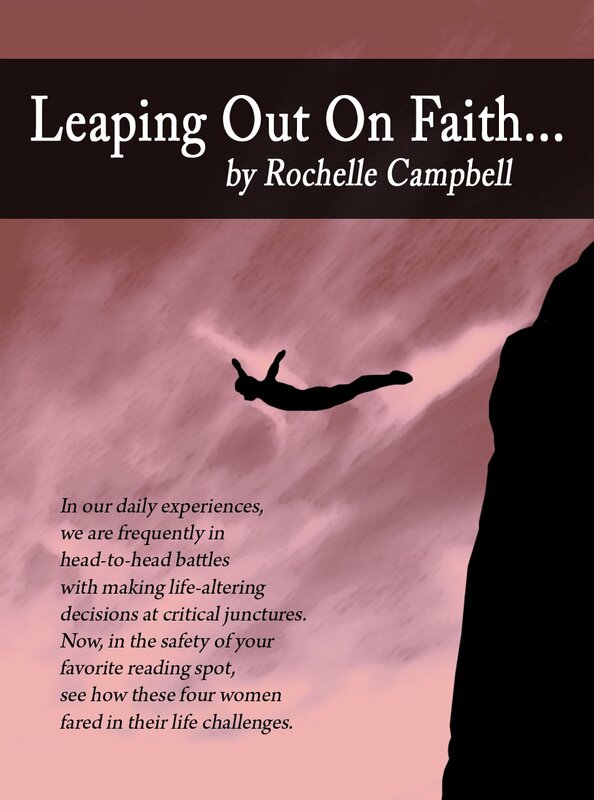 "Leaping out on Faith," is a great small collection of short stories. The book depicts four different women in four different life experiences. The characters were very intriguing and made you want to know more about their pasts and personalities. The author did a great job at putting you in the head of each character, while still keeping you at a viewer's length. 'Chambray Curtains Blowing in the Wind' and 'A Knock at the Door' we're my two favorites. They both did a great job at getting my heart racing from start to finish, and made me care about the well-being of the two main characters. This is a great book of short stories, that leaves you feeling humbled and wanting more. Nice read. If you would like the author to contact you about receiving a free copy in exchange for an honest review, please fill out the form below.